James Deane is following in the footsteps of several past Western European drift stars to make their names known on the US circuit. In a sense however, he has more in common with comic book legends of Japan than he does his own countrymen. Deane began winning championships at the tender age of 16 in his home of Ireland, in 2007. He has gone on to dominate the Prodrift, then the renamed Irish Drift Championship, before expanding to conquer the European Drift Championship – five times, including three consecutive overall victories from 2014 to 2016. 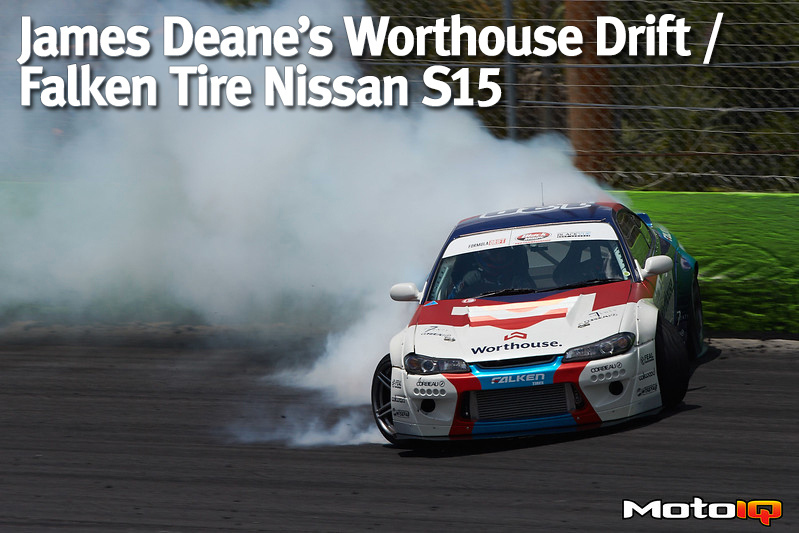 Now, Deane enters the world of Formula Drift full time, aiming to see what his skills are made of in a new arena. Each area of the globe has its own top class drivers, and moreover its own nuances in style. Judging takes on different views of the best line, the best chase run, or even the way smoke is achieved. Formula D holds high standards, and it would take a new type of machine for Deane to be up for the challenge. His European Falken Tire sponsorship was maintained, along with a partnership with Worthouse Drift to create this monster of a Nissan S15 Silvia. Its genesis began in Cork, Ireland, where Deane’s own shop DeaneMSport did the majority of the build – stripping the chassis, fitting the cage, suspension, powertrain, and lots more. DeaneMSport is a family business, meaning there is great support from his brothers on every project that comes through. Deane’s teammate, Piotr Wiecek, also drives a twin S15 that was constructed simultaneously at G-Garage in Poland. Deane collaborated closely with them, ensuring full alignment at each stage. After many months, the pair of Nissans were united for icing on the cake in Poland, before being shipped stateside for the 2017 Formula D season. In the US, Deane also relies on the local support of the Bridges Racing team to keep the cars in top working condition during and in between rounds. All in all, a truly global undertaking in every sense of the term. Starting off with under the hood, we find the heart of Deane’s partner in crime: a 2JZ-GTE turbocharged straight six engine (normally found in the belly of a Supra… not an overseas Nissan). Jumping straight to the point, the team has managed to extract an impressive 900 horsepower and 750 lb-ft of torque from the swap. Question is, how did they pull it off? Handling that amount of power takes reinforcements, like a new set of CP Carrillo 9.5:1 pistons and rods. 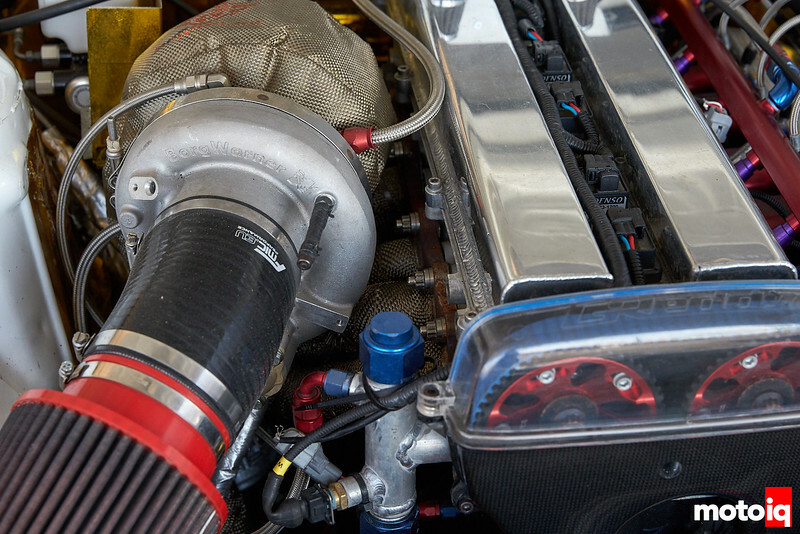 Innovative, high tensile billet steel main caps by Titan Motorsports are used to prevent stress fractures and cracks, a typical issue found in 2JZs with high boost levels. Titan also provides a Stage 3 cylinder head with oversize +1mm mainstay valves, 280’ BC inlet & exhaust cams, and an aggressive porting and polishing. All of this alone would have made for a killer setup, but no 2JZ race motor would be complete without a turbocharger to match. The engine is controlled by a Link Thunder ECU which is hooked up to a custom and very tidy wire harness. 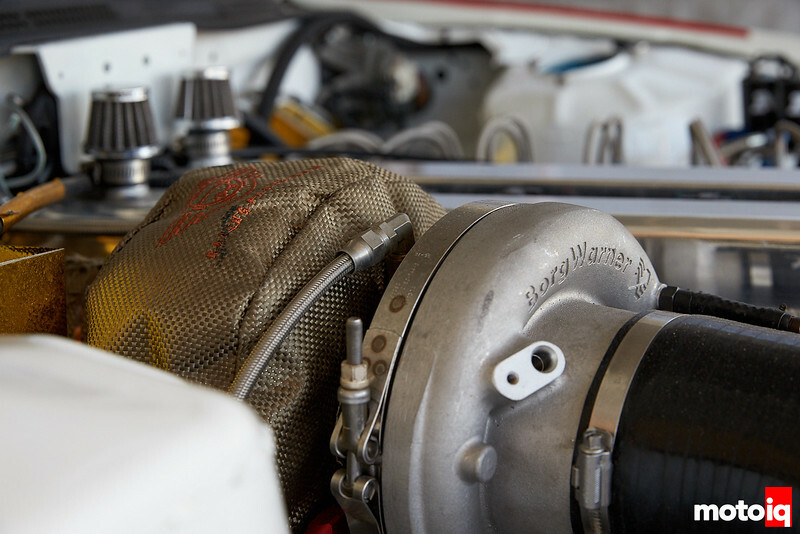 Deane’s squad selected a BorgWarner EFR9180 turbocharger, mated an ETS T4 twin scroll exhaust manifold, more than capable of handling the 23 PSI the team dials in. Those with fast and furious style intentions would have to look elsewhere though, as this setup doesn’t feature an external blow off valve for ‘whoosh’ sound effects – it is built right into the EFR’s piping, cutting down on airflow loss in the process. For drifting, fast response from the engine is very important and the EFR9180 has many spool time and lag reducing features like a CFD designed investment cast stainless steel exhaust housing with a Titanium Aluminide super lightweight turbine wheel. This reduces rotating inertia to a minimum. This turbine wheel combined with the twin scroll housing can reduce spool time by over 30 percent. Other features to improve spool and responsiveness are a high flow, forged billet CNC machined extended tip compressor wheel. The billet wheel has thinner blades for better flow and the extended tip gives the inducer more “bite” which also speeds spool. The wheel sits in a ported shroud compressor housing which fights compressor surge. This is important when running a turbo with nitrous. The nitrous can overspeed the turbo at lower rpms and put it into damaging surge which the housing can prevent. Lastly, the EFR9180 has a ball bearing center section which reduces friction and improves life under high thrust loads caused by high boost and nitrous. The spool time can be improved as much as 20% by using ball bearings here.